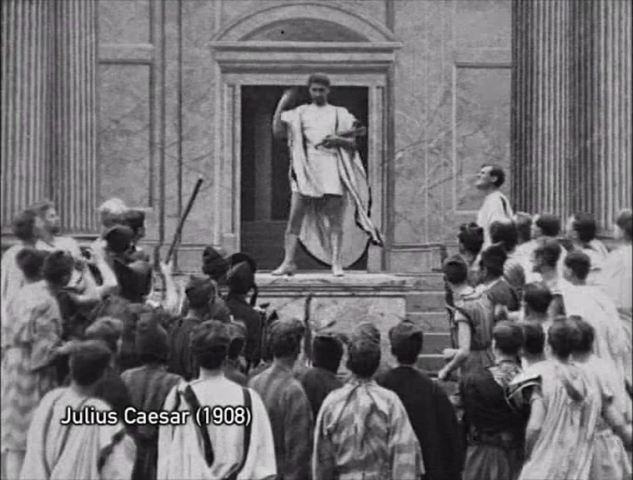 From King John in 1899, film adaptations of Shakespeare’s plays proved popular with early filmmakers and audiences. By the end of the silent era, around 300 films had been produced. This feature-length celebration draws together a delightful selection of thrilling, dramatic, iconic and humorous scenes from two dozen different titles, many of which have been unseen for decades. See Hamlet addressing Yorick’s skull, King Lear battling a raging storm at Stonehenge, The Merchant of Venice in vibrant stencil colour, the fairy magic of A Midsummer Night’s Dream, and what was probably John Gielgud’s first appearance on film, in the balcony scene from Romeo and Juliet. 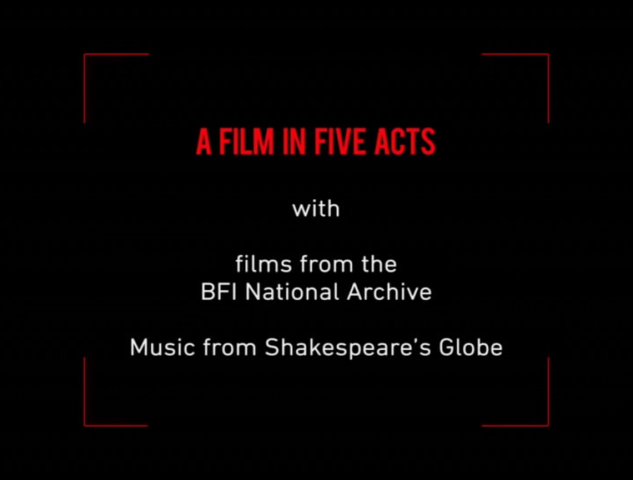 These treasures from the BFI National Archive have been newly digitised and are brought to life by the composers and musicians of Shakespeare’s Globe Theatre. “The thought of silent Shakespeare can cause confusion, and occasional sniggers. If your memory of Shakespeare from school revolves around quotations, verse form and antiquated vocabulary, then silent adaptations of his plays might seem perverse. 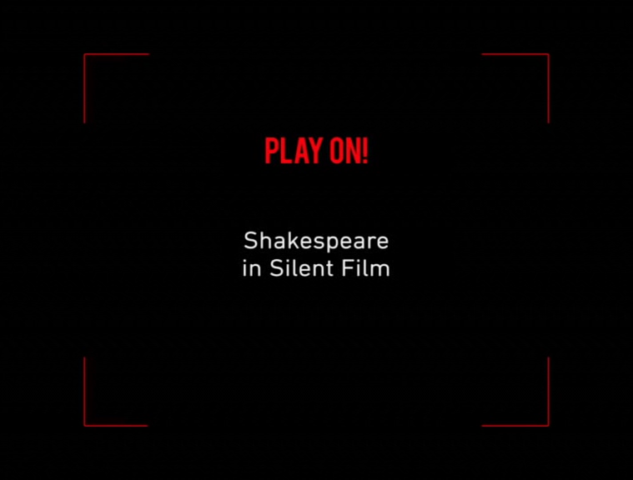 The truth, in fact, is that Shakespeare films were hugely important and popular in the early silent period. What’s more, these films can help us trace the evolution of narrative cinema, and show us something about Shakespeare too. 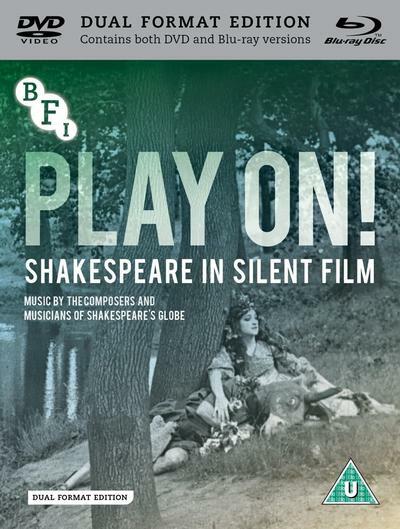 “Early films of Shakespeare’s plays captured his poetry in images rather than words,” runs the opening caption in the BFI’s new anthology, Play On! And that process was simpler than it sounds. 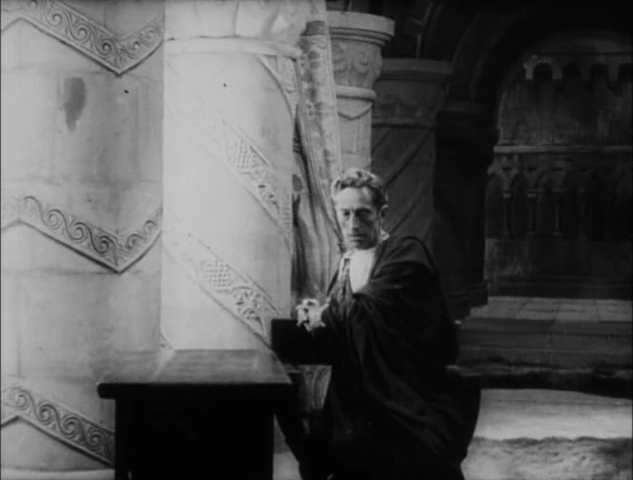 Many early Shakespeare films, such as the earliest surviving “adaptation”, a King John from 1899, were recordings of scenes from staged versions of the plays. So in that film, Herbert Beerbohm Tree reprises the death scenes from his West End production in a studio on the roof of the British Mutoscope and Biograph Company’s office on the Embankment in London. It’s not an attempt to tell the story of King John, but to give the cinema audience a glimpse of a great Shakespearean in action. Elsewhere on the disc, you can see John Gielgud as a queasy Romeo in 1924 in a similar style. A 23-minute condensation of Richard III in 1911 gives a taster of FR Benson’s skills as both actor and director. 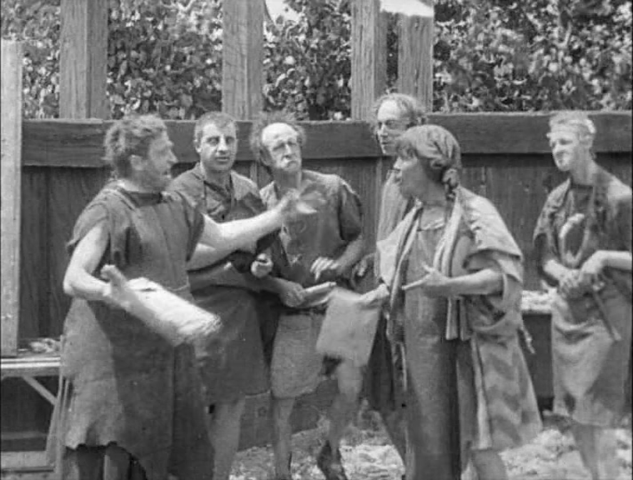 And in 1916, the Broadwest Film Company went to the trouble of transporting stage legend Matheson Lang to Italy, to play Shylock with an authentically Venetian backdrop. 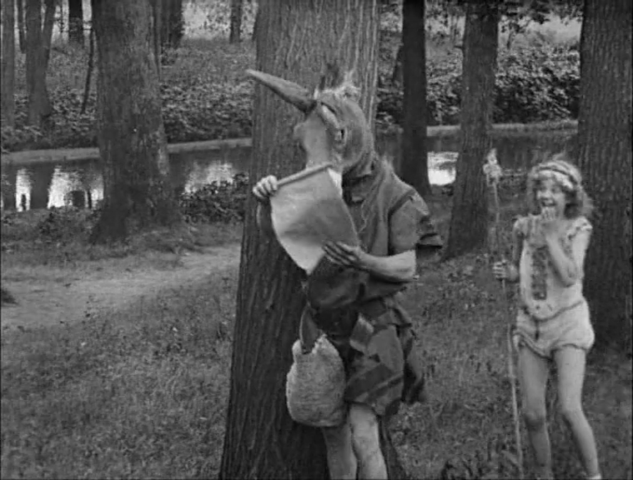 Silent Shakespeare films also drew on a visual tradition that had already rendered key scenes from the plays as wordless images, whether static or in motion. From detailed narrative paintings of the 18th and 19th century that represented Shakespearean characters and locations based on the evidence of the verse to moving magic lantern slides that animated ghostly apparitions or gruesome murders, the plays had already been boiled down into visual gobbets. The 1899 King John is truly an outlier; the first real rush of Shakespeare adaptations came towards the end of the 1900s and in the early 1910s. That’s what we’d call the end of the early film period, before longer features, with fluid narratives, started to become the norm. The timing is important – it begins to explain why these films were made, and how they were intended to be seen. This was a time when the film industry was attempting to shift gear. While film-makers undoubtedly wanted to experiment with longer and more complex projects, the studio executives and film exhibitors were also looking to find ways to make more money. Showing short, simple films to lower-class audiences in poky shopfront venues in inner-city areas was never going to bring big financial rewards. The industry wanted to target a more well-heeled demographic, tempting them with “prestige pictures” worthy of being shown in smarter, purpose-built venues, with rows and rows of comfortable seats. That way, cinema owners could charge higher ticket prices, and hope for greater municipal support from city officials who felt the “moving pictures” were an insalubrious form of entertainment. Bible stories and literary adaptations, it was felt, could secure a better future for the cinema. It might seem ludicrous now to attempt to dramatise Macbeth or King Lear in just a couple of reels, but at the time, it was a chance worth taking.